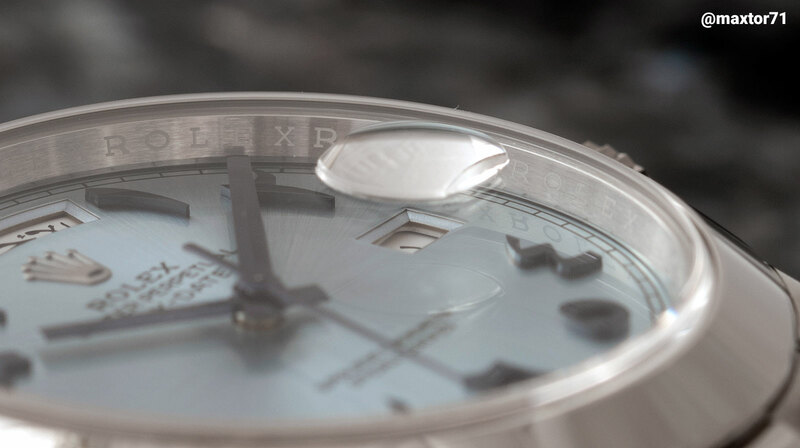 Explaining the origins of the Rolex Day-Date with the Arabic script dial, plus a look at the ultra-rare platinum Day-Date 40 with Eastern Arabic numerals. Limited edition watches designed especially for the Middle East, particularly the Gulf countries, have been a favourite of watchmakers in recent years with growing demand for fine watches in the region. Of all the editions made for the Middle East, the most popular watches – some have even gone viral on social media – are the ones with Eastern Arabic numerals for the hours, often labelled as “Arabic dials”. Eastern Arabic numerals, sometimes known as Arabic-Indic numbers, are symbols descended from the Hindu-Arabic numeral system, invented some 1600 years ago by Indian mathematicians. Over time they were adopted by the Arabs and then in the West, evolving into the Arabic numerals (1, 2, 3 and so on) that are commonly used today. Today Eastern Arabic numerals are widely used with the Arabic alphabet in the east of the Arab world, namely the wealthy, oil producers of the Arabian Gulf. For that reason, such numerals are sometimes described as “Arabic script” numerals in watch auction catalogues, and hereafter known simply as “Arabic”. Hublot started the Arabic number revival (yes, they were popular once upon a time – we’ll get to that in a bit) in 2013 with a beautiful titanium Classic Fusion with a grey dial and rose gold-plated Arabic numerals. Created by the Middle East’s watch retailing giant, Ahmed Seddiqi & Sons, and Hublot, the series was limited to 100 pieces and disappeared quicker than a dozen unattended Hermes Birkins on a shelf. And Instagram sensation Watchanish receiving one for his birthday while on a trip to Dubai spurred demand even more. Hublot’s success encouraged watch brands to come up with their own interpretation of Arabic dials. Popular brands like Zenith, Bovet and Graham followed suit, as well as independent watchmakers like F.P. Journe, MB&F, as well as De Bethune. But such dials are not actually a new phenomenon. One of the notable pioneers was Rolex, which offered special dials with Arabic numerals as early as the late 1950s on Day-Date watches. I would love to get exact details on how and when (for instance, who came up with the original idea?) these Arabic dials came about but alas information on vintage Rolex is always difficult to obtain, even more so on watches that were made in very limited quantities for a specific region. The widely accepted wisdom is that the first Day-Dates were as the refs. 6510 and 6511, distinguished by smooth and fluted bezels respectively. 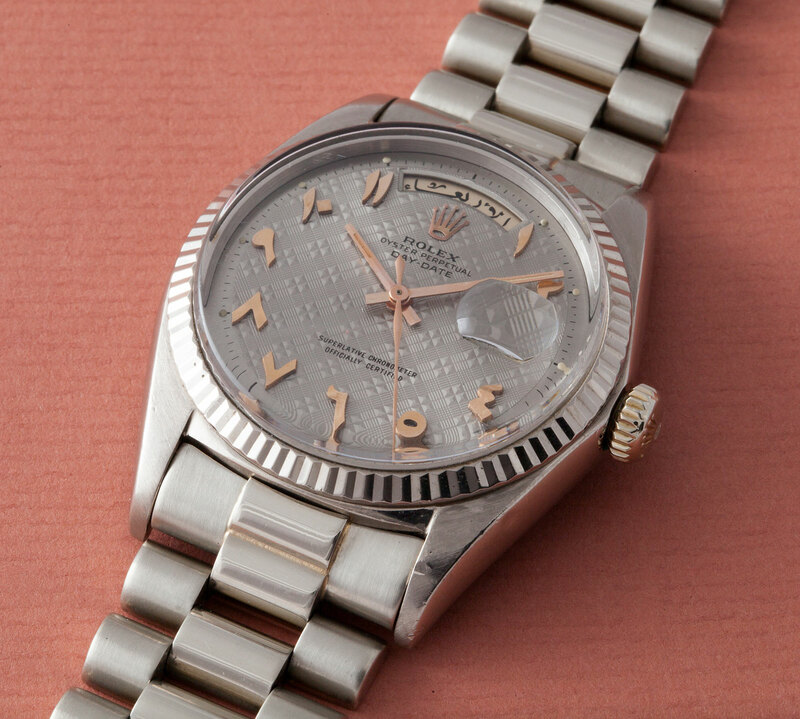 Launched in 1956, they were the first Rolex watches with both a day and date display. Both were succeeded a year or so later by the refs. 6611, 6612 and 6613 (fluted, smooth and diamond bezels respectively) and this is where the story begins. 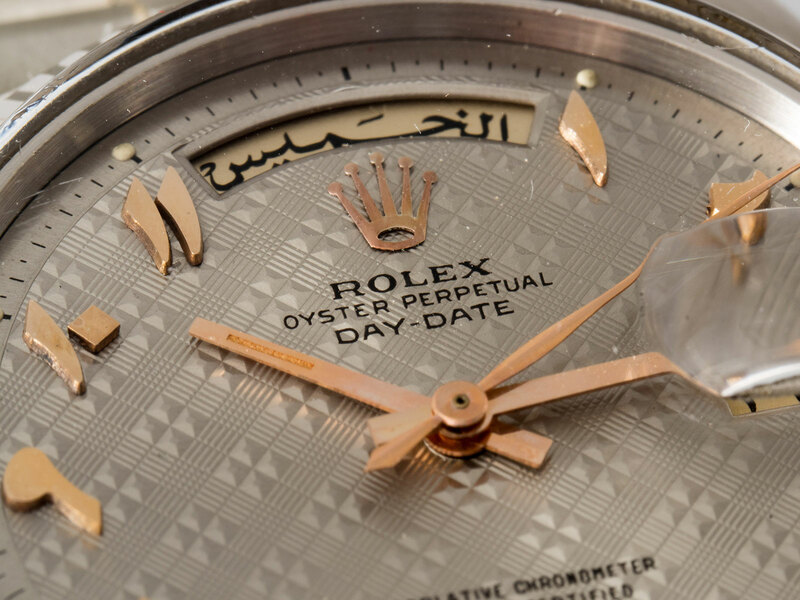 The use of Arabic script on Day-Date dials came in stages, starting with the days of the week. There have been ref. 6611s discovered dating to the late 1950s fitted with the days spelled out in Arabic. The date numbers, however, are in conventional numbers; though the date wheel is “roulette” style, meaning the even numbers are black whilst odd numbers are red. So you get a watch with two languages on the dial, so to speak. Towards the end of the 1950s and we can find something a little more suited to the Middle East. With both its day and date in Arabic script, the Day-Date ref. 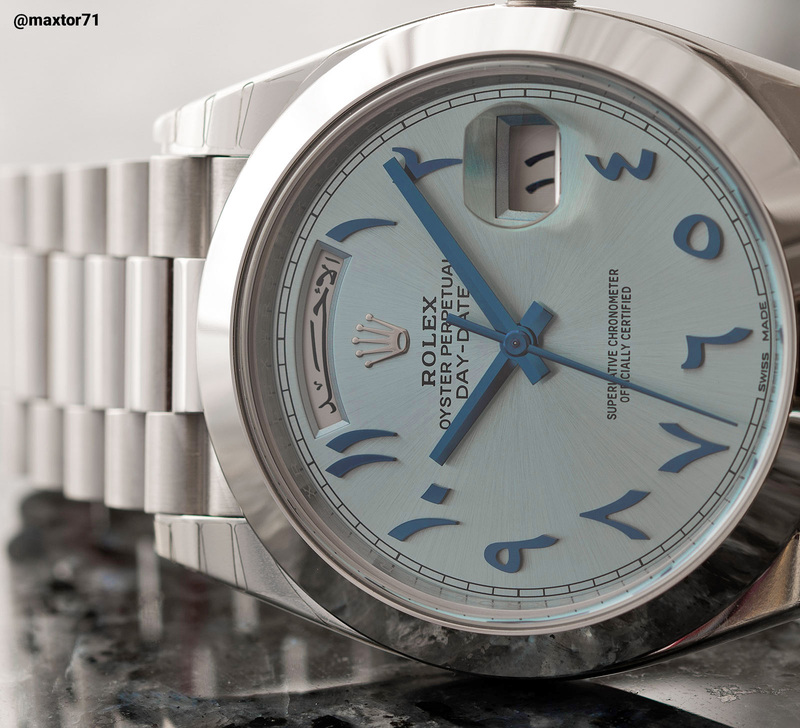 6612B “Lone Star”, depicted in Day-Date – The Presidential Rolex by Pucci Papaleo, also features a platinum case and bracelet, making it acceptable in Arab culture as Islam – the dominant religion in most of the Middle East – prohibits men from wearing gold. 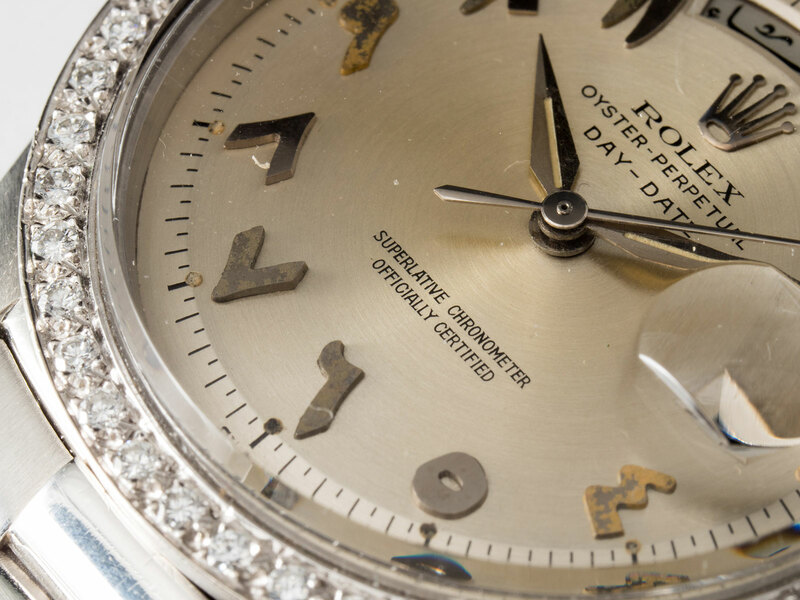 And the dial has diamond hour markers, a sign it was intended for wealthier clients. 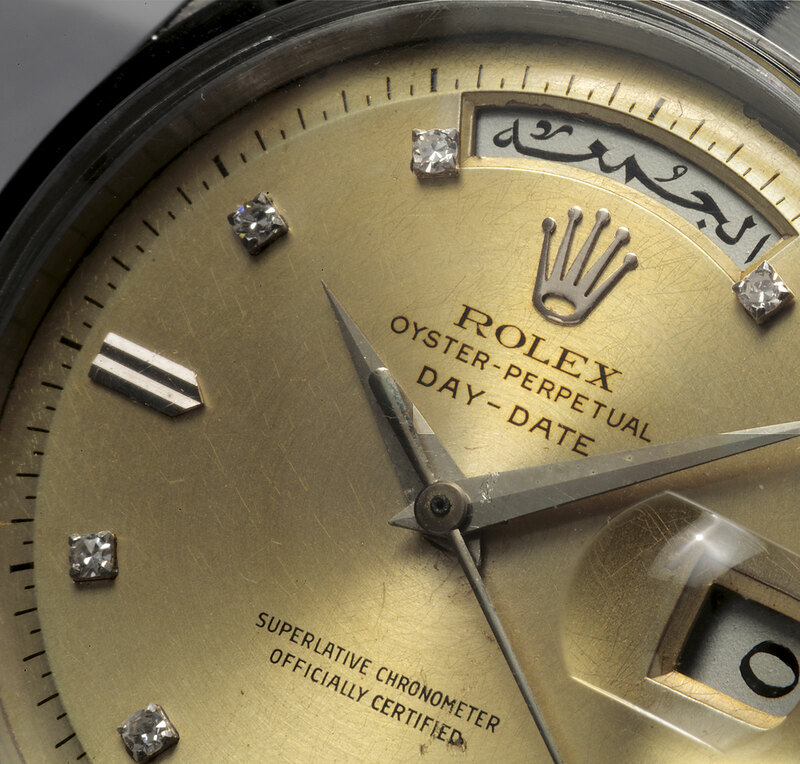 As with all things Rolex, it is hard to say definitively when Arabic dials, that is to say dials with hour markers in Arabic script in addition to the day and date, first came to market. It is industry wisdom that such dials were first fitted to Day-Dates from the late 1950s, with several such specimens known to exist. 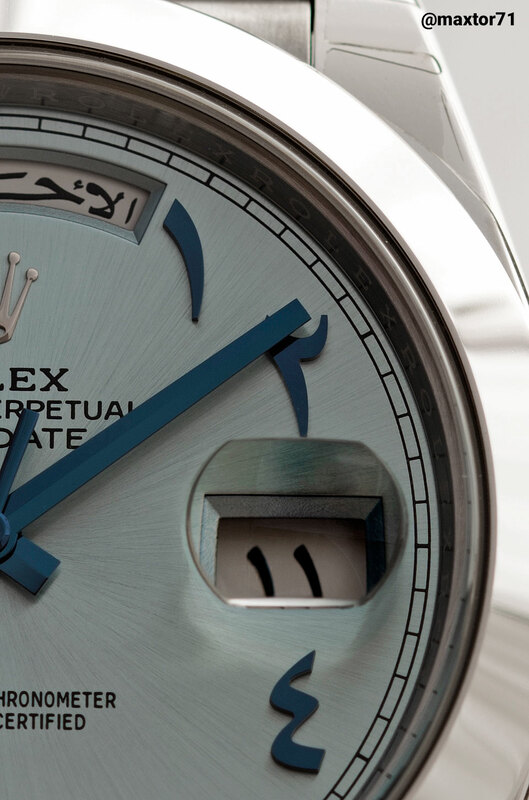 These special watches are likely the first time that a entirely Arabic number dial with a matching Arabic script calendar function was ever produced, not just only Rolex but by the entire Swiss watch industry. More comprehensively documented are the special dials that came with the next generation of Day-Dates (the refs. 1802, 1803, 1804 and so on) that arrived in 1961. In fact, one of the most special Day-Dates ever to emerge is from this era. That’s the remarkable ref. 1804 dating to 1960, nicknamed “Scheherazade” by Pucci, which is unique in almost every way – Arabic day, date, and hour markers, cased in platinum with a sprinkle of diamonds on the bezel. 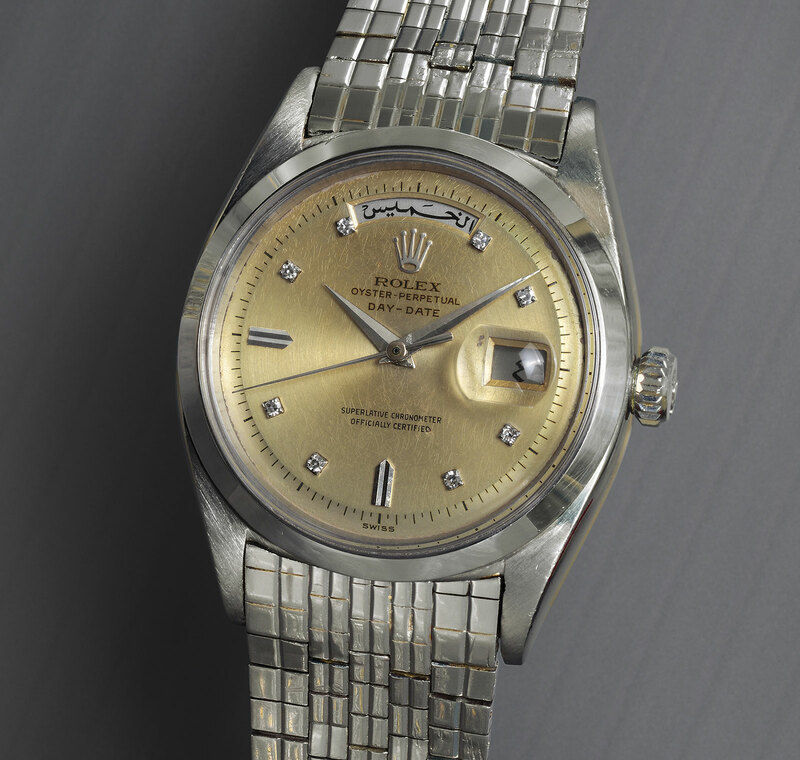 This, in my opinion, is the ultimate Arabic Rolex released at the time. 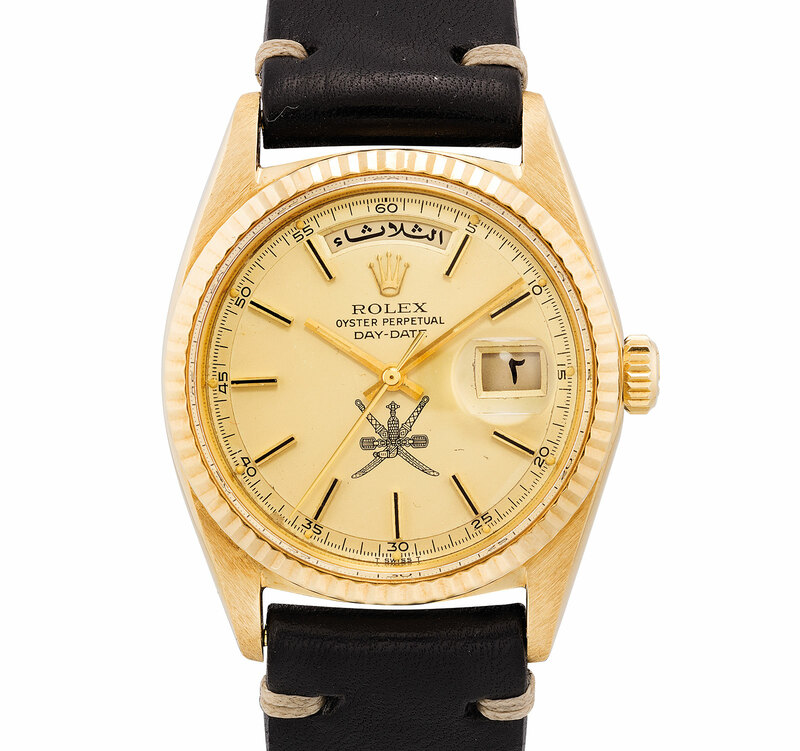 Watches with Arabic dials were very popular, resulting in them being in production for the better part of the next 20 years, during which Rolex experimented with the designs and so did its customers with various custom orders. The result was many different combinations of dial colours and hour indices, as well as varying metals for the case and bracelet. 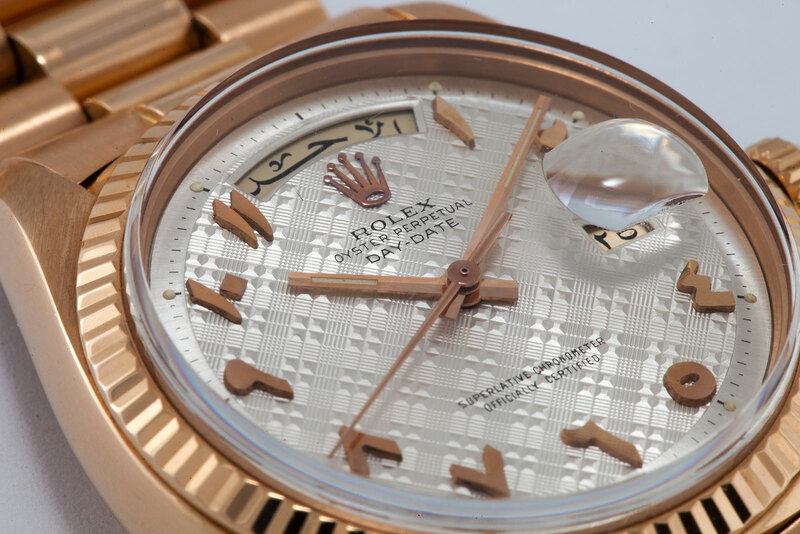 Some dial patterns are even unique to Arabic dial Rolex Day-Dates, having never been found on any other model. One such example was sold by Phillips in 2015, a ref. 1803 in pink gold fitted with a tapisserie guilloche dial nicknamed “Aladdin’s Rose”, which was made in 1974 and sold in Damascus, Syria, according to a previous owner of the watch. But while all of that aesthetic evolution was taking place over more than two decades, two factors remained unchanged: the font of the Arabic hour numerals consistently remained the same size and style, and so did the typography for the day and date. 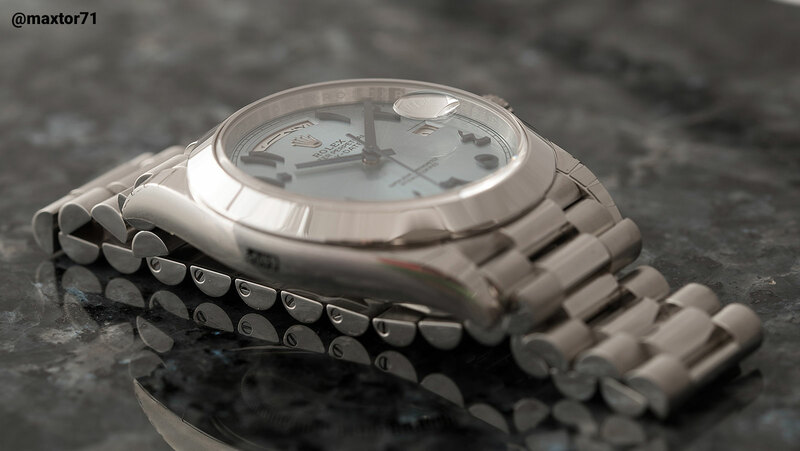 Towards the end of the 1970s, or perhaps even the early 1980s, the Arabic dial was discontinued, leaving only the Arabic day and date wheels as an optional feature available on request. 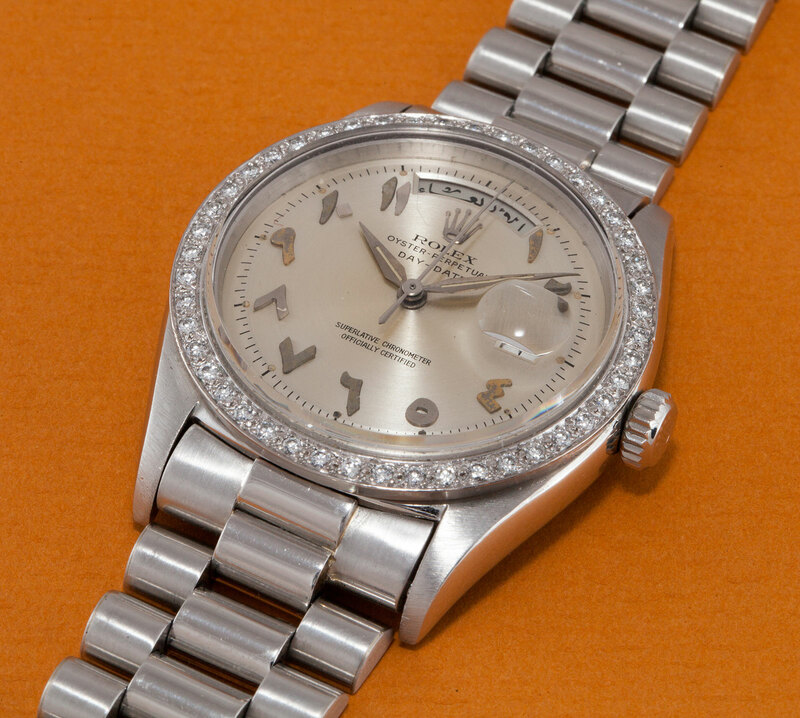 An tangential but intriguing genre of vintage Rolex Day-Dates are those with Arabic text or logos on the dial that commemorate events or people. Such watches were said to have been first made as special orders coming from Oman, and more specifically, from the Sultan Qaboos Al-Said himself, reputed to own one of the world’s largest watch collections. These Omani watches were mainly retailed by London jeweller Asprey on Bond Street, and delivered to clients as they were from Rolex in Geneva, with Asprey selling them without any modification. Fast forward to Baselworld 2016 – the world’s largest watch trade fair – and photos emerged of a brand new Day-Date 40 that pays tribute to the particular era that was the golden age of the Arabic dial, a platinum Day-Date with a dial entirely in Arabic script, the ref. M228206-0025. It is amazing that it is only after all this time that Rolex finally decided to resurrect what was once a very desirable watch, a fact reflected in auction prices for vintage Arabic Day-Dates. 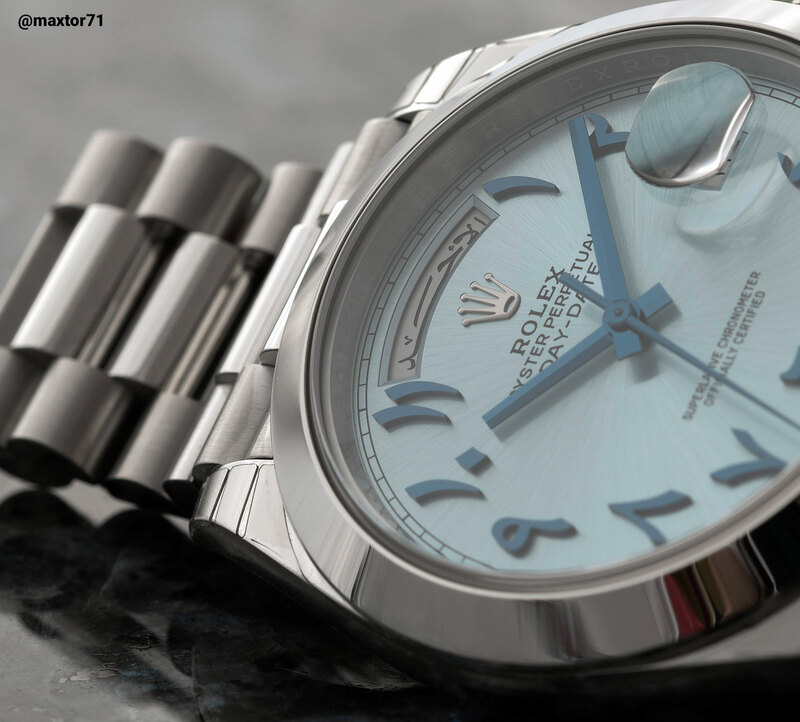 Like other platinum Rolex watches, the Arabic Day-Date has an “Ice Blue” dial – fitted only to platinum watches – a pale blue that is beautifully finished a sun-ray brushing. The dial is out of this world. The radial brushed finish contrasts with the Arabic hour indices, which are a mirror-polished white gold coated a rich, dark blue, the same material used for the hands. 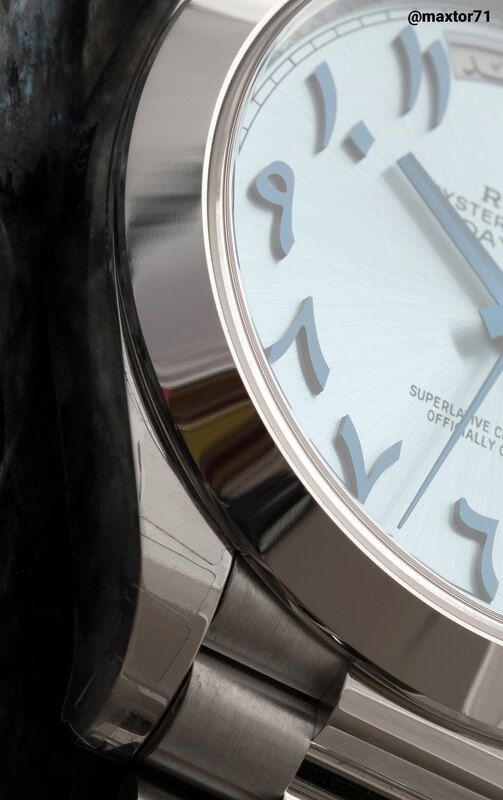 The new Arabic Day-Date not merely a casual tribute to the past; if you compare the numerals on the vintage and modern Arabic Day-Date you will realise that the font and alignment is exactly the same. This is what I call an “homage” piece, true to the original purpose of catering to the Arab market by being sensitive to local preferences, while still keeping it rare by making only limited numbers and keeping it to the most precious material, and all the while retaining the original look. 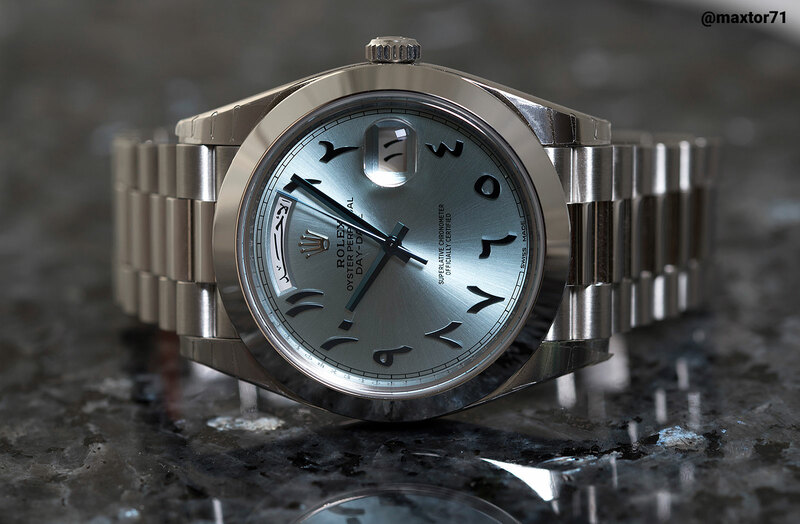 Rolex did it right on the first attempt. Introducing the Arabic dial on a top of the line model, in the priciest metal, and having it produced in limited quantities is the final icing on the cake, but what about the cherry? Distribution is extremely limited: the watch will only be available at select authorised dealers in the Middle East, namely those located in the Kuwait, Qatar, Saudi Arabia and the territories of the United Arab Emirates. The special edition Day-Date 40 (ref. M228206-0025) is priced at AED232,400, equivalent to US$63,200. But that’s not all, rumours have it that there is another Arabic Day-Date 40 in platinum that costs almost twice as much, thanks to a baguette diamond bezel. 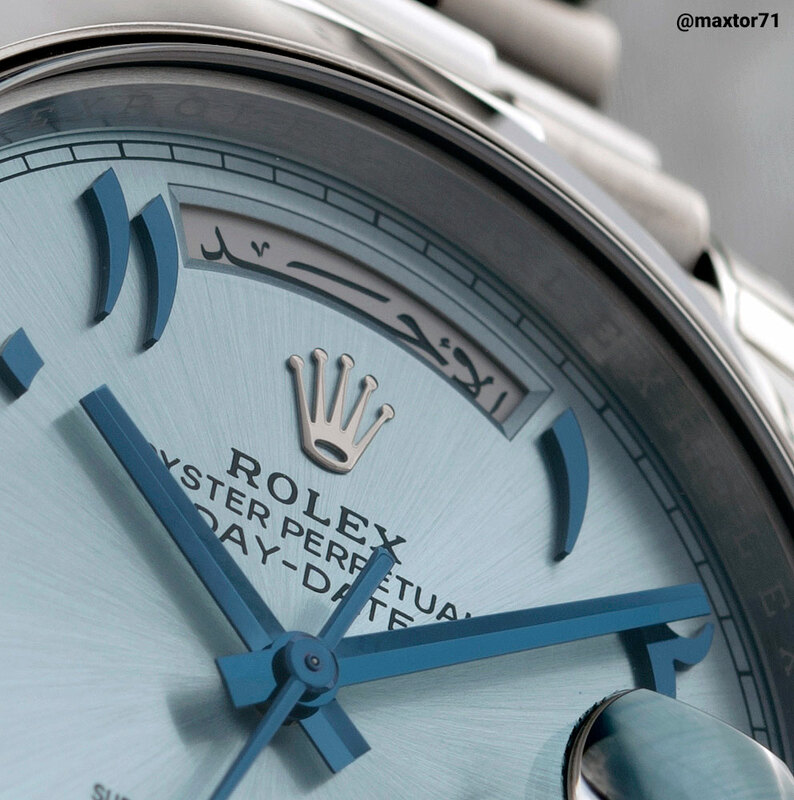 That combination is true to the history of the Arabic Day-Date, historically an object of luxury and exclusivity. 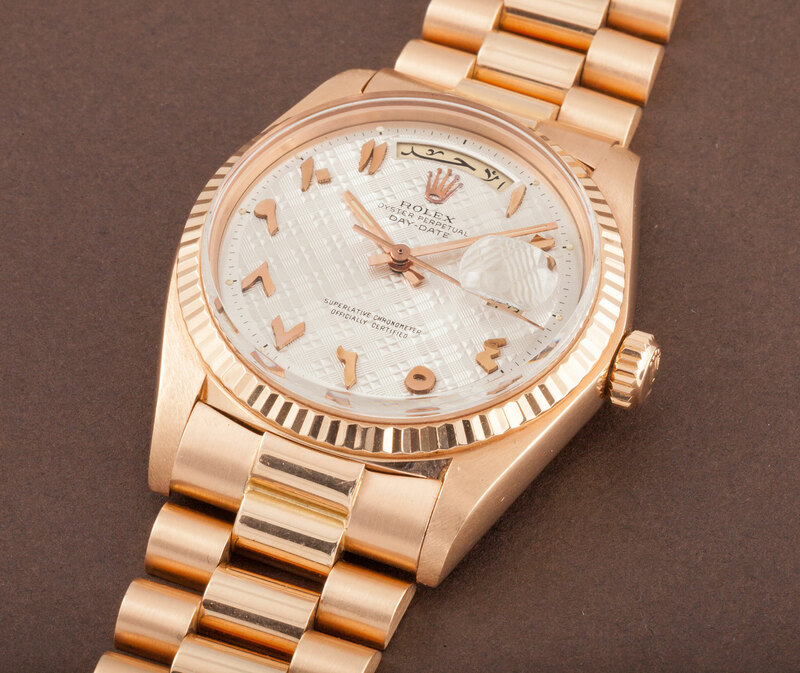 Priced at AED432,000, or about US$117,700, the Arabic Day-Date 40 with a diamond bezel will be dazzling. Adel “D244” Al-Rahmani is a watch collector in Dubai and founder of the Dubai Watch Club, a social club for watch enthusiasts in the UAE. All photos of the Day-Date 40 are by Jason Saundalkar. The author is grate to Eric Ku for his input, and to Phillips and Pucci Papaleo for their photographs. Addition January 13, 2017: Model reference added.